Analysis for The Conversation by Dori Tunstall, Swinburne University of Technology. On the occasion of U.S. Secretary of State John Kerry trip to Australia for AUSMIN talks, I reflect upon the role of Australia in America’s democracy. Meetings such as AUSMIN focus on military contributions, but I thing that the greatest contribution has been the ballot system created and made into law in Australia in 1856-7 (e.g. the Electoral Act of 1856). Adopted by all of the US by 1900, Americans even referred to the system as the “Australian ballot.” The system is what at the turn of the 19th century saved American democracy from oligarchical tyranny, at least for a while. Corruption, intrigue, treachery, all common elements in the darker side of Athenian politics, and if many sources are to be believed, part of the essential make-up of the democracy. 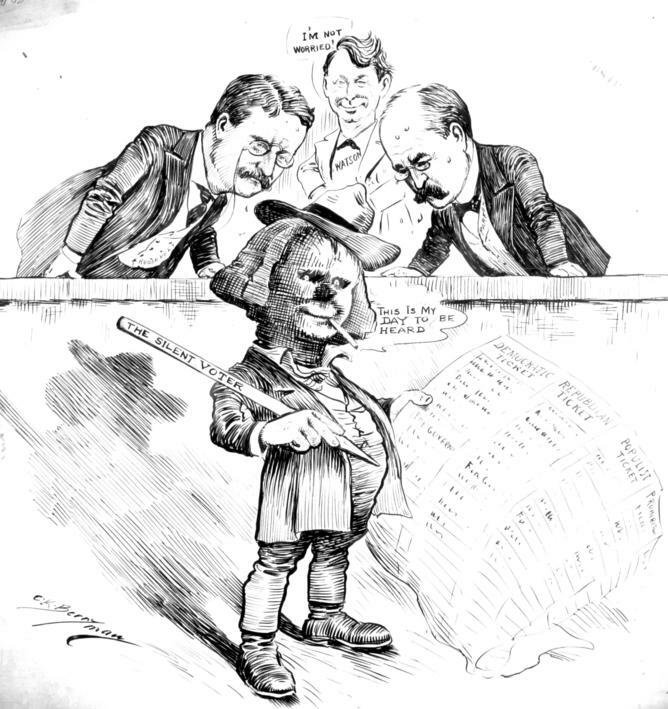 The ‘gang of Tammany Hall Bailey’ had been engaged in flagrant branch stacking, particularly in the Goulburn electorate. 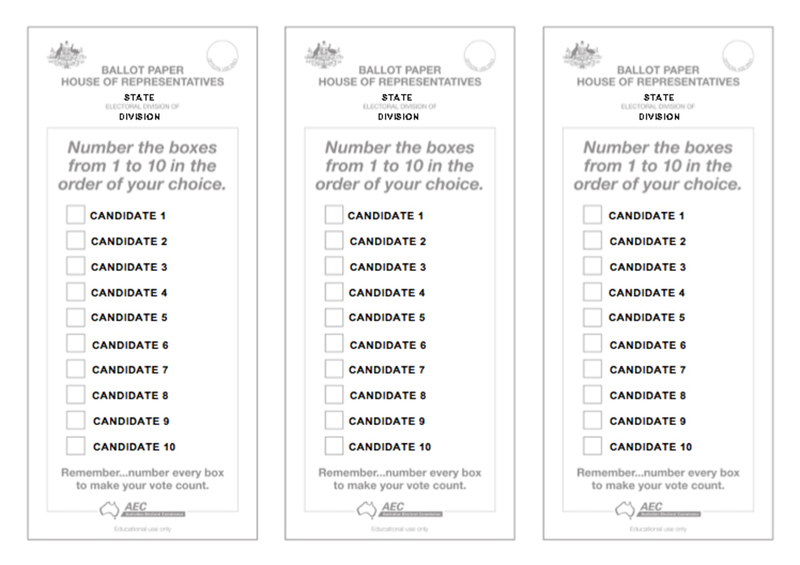 The Australia ballot system was designed to address the blatant intimidation of voters in the voting processes of the 19th century. The defects were: first, it was not secret; secondly, there was no means provided by law for printing and distribution of the ballots; thirdly, there was no means provided for protecting the public against eleventh hour nominations, which made a public exposure of the candidates impossible; fourthly, the necessarily large expense deterred independent and non-partisan candidates; fifth, the noise, violence, and confusion about the polls were disagreeable. In many states there was no regulation of the form or appearance of the ballot whatsoever. As a result, ballots of the opposing parties were so different that it could accurately told how an elector voted by the color of his ticket...The failure of the law to secure secrecy opened the door to bribery, intimidation, and corruption. 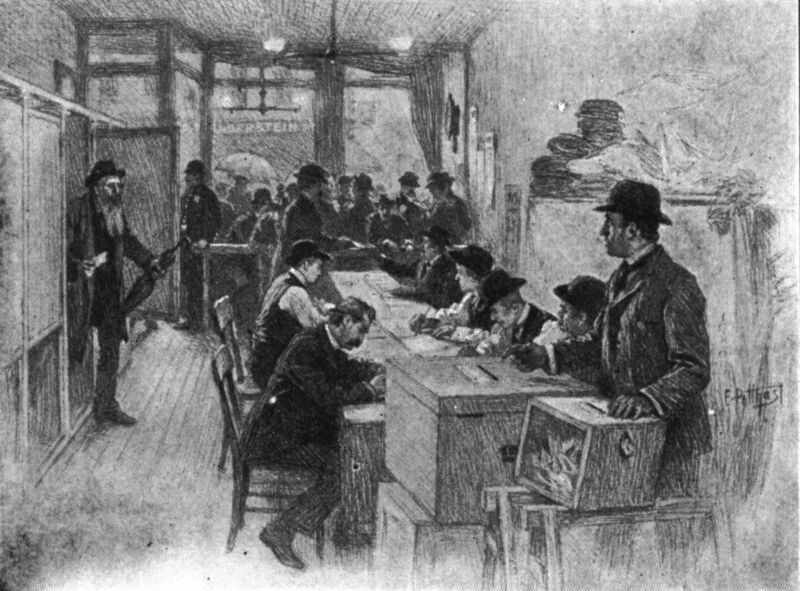 The committee sat for nearly three months and inspected the contents of all the ballot-boxes in Hudson County...They found no fraud, nor any suspicion of fraud, in any of the precincts showing majorities for the Republican ticket...but in the districts showing Democratic majorities they discovered, by the admission of the frightened criminal officers of election, by the testimony of hundreds of willing and unwilling witnesses, and by the incontrovertible evidence of the thousands of fraudulent ballots still in the boxes, each one a stab at the heart of popular sovereignty, each one bearing the evidence of its criminal purpose and of its criminal performance, the most ghastly conspiracy to defeat the will of the people that has ever been dragged to the light of day in the history of our State. The New Larned History of 1913 recounts how Mr. Francis Dutton first proposed the secret ballot in the Legislative Council of South Australia in 1851. In 1856, the State of Victoria enacted it into law through the Electoral Act of 1856. In 1857, South Australia, led by Dutton, adopted it. It was adopted by Tasmania and New South Wales in 1858; New Zealand in 1870; Queensland in 1874; and West Australia in 1877. Before the ballot was in operation, our elections were exceedingly riotous. Of course, our community had the rowdy elements as well as other countries, and on election days these troublesome elements came to the surface; and I have been in the balcony of an hotel during one of the city elections, when the raging mobs down in the street were so violent that I certainly would not have risked my life to have crossed the street. 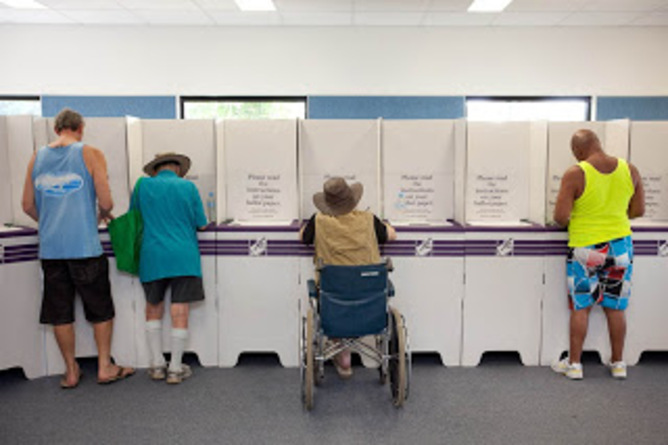 The secrecy of casting the ballot, often by providing an enclosed voting booth and cover jacket for the ballot to be placed in the ballot box. The Australian ballot system was effective in reducing the most blatant intimidation at the American polls. Landlords or employers were less able to force people to vote according to their wills, because they could no longer see for whom their tenants or employees were going to vote. This accounted for the slower acceptance of the Australian ballot in the Southern States, especially since black men were allowed to vote in 1870. But when the Southern States figured out that they could use the literacy required by the Australia ballot system, they were keen to adopt it as a means to disenfranchise poor whites and blacks through literacy tests. Because vote buyers could not guarantee that people voted as paid, it affected but did not significantly reduce vote buying. And interestingly enough, it did not reduce ballot box stuffing. The uniform ballots were seen as an advantage because they could not be traced to an individual. Thus, the dead and even dogs continued to vote in American elections. The printing of the ballots by the State and not the political party did reduce the grip of the party on election-day politics. 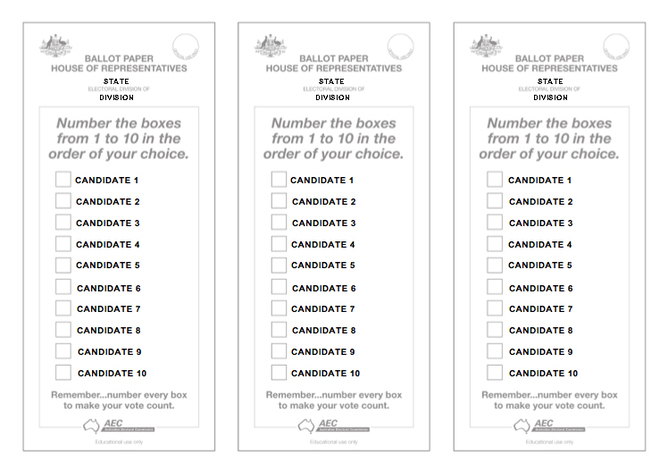 Historians are clear that the Australian ballot system contributed to the focus on individual candidates with the increase in split-party votes, which is assumed to be a marker of greater voting independence. The Australia ballot system was not designed to universal suffrage, which was probably its greatest limitation in thinking both in Australia (ex. women universally received the right to vote in 1908 and Indigenous Australians do not universally receive the right to vote until 1965) and the United States (ex. women did not receive the right to vote until 1920 and Native Americans until 1924, with passage of the Snyder Act). In the book, Deliver the Vote, on the history of American election fraud, author Tracy Campbell quotes Reinhold Niebuhr:Man’s capacity for justice makes democracy possible; but his inclination to injustice makes democracy necessary. Australia’s design for a better democracy changed the face of American politics in the 19th century. One hopes that she might be able to inspire the US again.